Meet out on the lawn and under the stars for the Star Viewing Parties on the first Fridays of each month at the James S. McDonnell Planetarium in Forest Park (weather permitting). Make sure to enjoy the indoor events and to see the FREE* 7pm Planetarium show "Live Sky: Tonight" in the Orthwein StarBay while you are there! This event is FREE and open to the whole family! *FREE tickets are required for the 7pm Planetarium "Live Sky: Tonight" show and are available on a first come first served basis beginning at 6pm on the evening of the event. See website for more information. 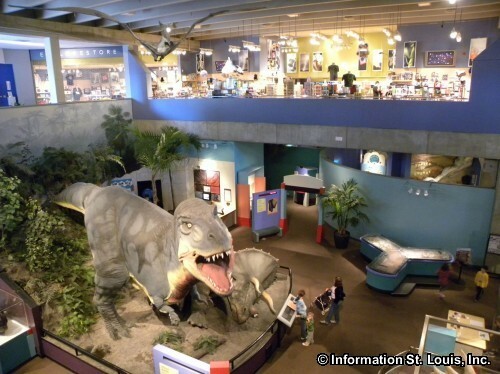 The St Louis Science Center is located in the City of St Louis Missouri. Visitors can enjoy "hands on" exhibits and OMNIMAX movies. The Science Center also includes the James S. McDonnell Planetarium located across the walkway in Forest Park. Directions: Located on Oakland Avenue, just west of Kingshighway Blvd and south of Interstate 64/40, in St. Louis Missouri.